If you are looking for an exciting gambling experience in the world of online betting, then probably you have to try Dhoze. This relatively new online betting company offers first-class betting products and exclusive gambling experience for any enthusiast. It is known as a traditional bookmaker owned and operated by BML Group Ltd. Dhoze is performing its activities under two licenses. The first one MGA/CL2/183/2004 was issued on 17th March 2009 and the second one MGA/CL1/183/2004 was issued on 30th March 2011. The headquarters of this online bookie are located in Malta and more specifically on Experience Centre, Ta’Xbiex Seafront. All the gambling operations that Dhoze is conducting are regulated by a European Union authority. This online bookie has very strong presence in Brazil and employs a strict policy to restrict any US gamblers. Apart of this, the bookmaker has many other clients from around the world and especially Europe. It’s surprising that an online betting company with just five years of history managed to gain popularity and provide an effective and well-designed product to its clients. The growing reputation of Dhoze is making it a potential threat to the giants in the sports betting industry. 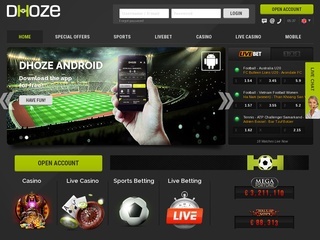 In 2014 Dhoze.com was acquired by Betsson and currently it uses their services. Dhoze’s online betting platform is well organised and structured. The interface is quite friendly, especially to inexperienced players. The bookie offers are the wide variety of sports with the total of 39. Other markets are also included in the offering. Gamblers can also wager on politics, entertainment and financials. Customers who like to have their bets tracked and free for review anytime can benefit from the excellent betting history available. 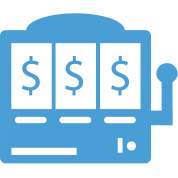 One of the great features, which make Dhoze an exciting place for sports betting, is the live betting option. However, it’s only usable for a limited amount of sports. Players are welcome to enjoy Dhoze’s betting opportunities on their mobile devices as well as their desktop computers. Live streaming is not presented at this time, but we hope that this online bookmaker adds it in the future. There is also casino and poker supported. Gamblers can also enjoy a fine live casino feature with various options and games at their disposal. 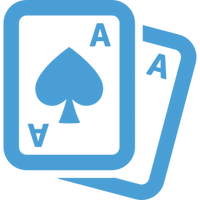 There are numerous choices, such as Blackjack, Poker, Roulette (both American and European), as well as Slots and other great game adventures. The odds that Dhoze provides are quite attractive and follow the EU format. Players will be excited to take advantage of great betting margins for most sports. In general, the overall betting margin is equal to 6.0%. When it comes to betting, the minimum amount is €0.1, and the maximum is not specified, which usually means there is no maximum. However, there are tight limits on the winnings. Players can enjoy a maximum reward of €30 000 per bet, €100 000 per day and €250 000 per week. Football betting is well developed, and customers can enjoy a nice selection of options and amazing opportunities. Every registered player can easily wager on the standard 1×2, as well as Correct Score, Handicaps, Half/Full Time, Both Teams to Score, Under/Over, Goalscorer, Corners, Cards, Number of Goals and many other excellent choices. All these bets can be arranged in a beautiful complex betting types. Dhoze supports Single, Double, Multiple and System bets. When it comes to security, Dhoze is quite responsible online betting provider. The bookie ensures that all the traffic is well encrypted by using SSL connection. The certificate is not specified, but players can rest assured that their delicate credentials are protected. The customer care service that Dhoze supports is helpful and dedicated. The team is ready to assist gamblers 24/7 in the following ways of communication – a telephone hotline, email systems with support tickets on and live chat for those who prefer it. All of these methods for communication are very responsive and reliable. The staff is friendly and effective. However, the online help and FAQ available is poor, and it just covers some basic points, but nothing more specific. Dhoze is an online betting provider who operates with just one currency – the Euro. There are various payment methods supported. However, the information about minimum deposit and withdrawal amounts lacks for now. The only hint about this kind of information resides in the ToC (Terms and Conditions) section of the website, where Dhoze states that there could be charges applied on some of the deposit transactions. The good thing is that almost every payment options for both deposits and withdraws are relatively fast. Dhoze is giving a unique opportunity to every new player to make a risk free bonus of €50. In other words, if you wager up to €50 and lose, you get your money back. However, there are some requirements to fulfill this promotion. 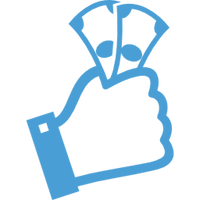 The size of the bonus is 100% and should be placed on sports with odds more than 1.5. Players have seven days after the registration to meet the requirements and take advantage of their one-time bonus. Loyalty programs and VIP systems are not presented at the moment, but Dhoze compensates with various on-going promotions for sports different events. Those who enjoy the casino games can also tap into many different promotions for almost any of the games available.